Sta Hyt Mai, Zarbanni Warrior of the Twelfth Order, Holder of twenty-fifth level fame, is an interesting character. You can read about her origins in a free short story available on Smashwords. 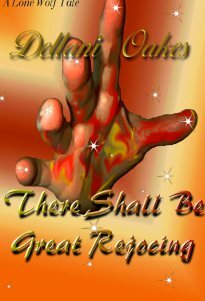 There Shall Be Great Rejoicing was written to accompany my Lone Wolf sci-fi series. When first introduced, Mai comes on a little strong. She seems abrupt and offensive until the others realize that she’s really very shy. Though they share a common heritage, Mai isn’t anything like the others. She most closely resembles the Fellician warriors, giant, sentient cats who most often work as mercenaries. Although Mai is a catlike race, she’s hairless—something the other Cats find both odd and interesting. Not long after she arrives on Shakazhan, Mai proves her worth by facing down an enemy. It becomes readily apparent, she is more than any of them anticipated.